Pastor, can you imagine yourself in this picture? It is miles from civilization in the heart of the Bob Marshal Wilderness. You could be there with a select group of your peers, relaxed on horseback looking for the right pool to sink your line and snag native trout for dinner by camp fire. If your heart needs the wilderness we will do everything we can to put it there. 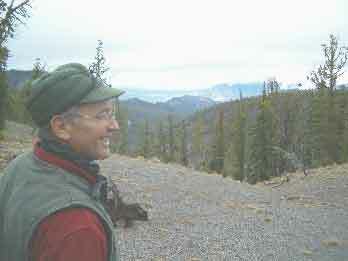 Leaders need the nurturing graceful wilderness experiences. 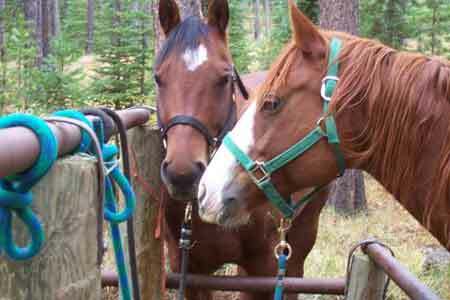 September 27 through October 4, the Clergy Recovery Network will host its 4th annual horseback adventure for clergy. We will gather on Sunday evening the 27th and leave from the Great Falls airport on the 4th. 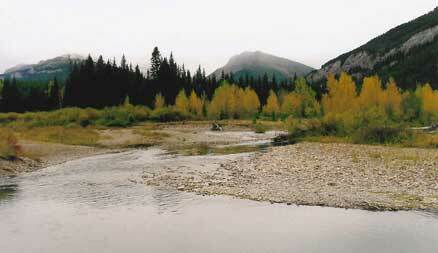 This excursion will be in the Bob Marshall Wilderness of Montana. You are invited to join Dale Wolery, CRN’s Founder/Director and his team of North Central Montana horse and wilderness enthusiasts on this incredible adventure. Brad Anderson, Roger Lincoln and Paul Wolery are our committed volunteer team members. Keep scrolling and meet the team. We are currently limiting the trip to four ministers. Please read the material on this web site, and apply early. Assume you can come. Live a little! This experience could change you for eternity. If you have concerns before you apply, email or call (406-292-3322) Dale. Register early as only four clergy will be approved. 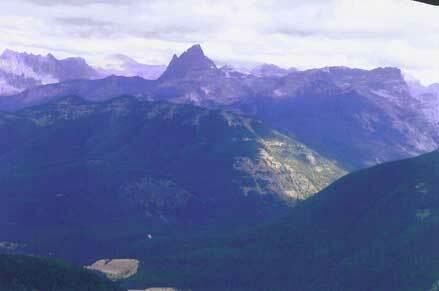 Western Montana has more than a million and a half acres of federally designated wilderness. The more than 2400 square miles of awesome beauty will nurture your soul and build memories for a life time. We will ride primarily in the Bob Marshall Wilderness. If you search on line you will catch glimpses of its vast grandeur. Google Earth does not do it justice! “The Bob” as it is affectionately called is host to towering mountains, lush meadows, roaring rivers, gentle streams, placid lakes and herds of magnificent Elk. It is a cornucopia of endless scenic beauty. There are no roads. No motorized equipment or vehicles. Most human beings will never view its majesty. We will enter the Bob on its East side at Benchmark, establish a base camp and explore the untouched wonder of some of God’s choicest handiwork. What about the riding challenge? In our first clergy adventure into the Bob two of the ministers were seriously green “green horns” and despite some saddle sores, met the physical and spiritual challenges like real warriors. Both were powerfully positive about the adventure and its benefits in their lives. Being a “City Slicker” on horseback in the wilderness works its wonders! If you are not an experienced rider you will likely wrestle with being saddle sore but the experience will stretch you emotionally and spiritually. Don’t let your lack of experience stop you from this adventure. Your CRN leadership team is committed to your safety and will not put you on a horse we believe is too much for you. You will receive clear instruction and each of us will be observing you and your horse and readily offer help if you need it. Yes, accidents do happen. Yes there is risk. This is why we are riding horses instead of All Terrain Vehicles. Horses can at least see where they are going! As a team we are used to Western Pleasure Riding and do not typically ride with protective helmets. If you wish to take this extra safety precaution you must bring it with you. THE LINE UP: They all do have white hats!! Every member of the CRN team is a volunteer. We are not professional guides or outfitters. We do not do this for a living nor does any member of the team do this kind of work in a part-time way. No one receives any pay for this and the donations you make to the Sterling Wolery Memorial Fund only cover a portion of the costs associated with your participation. Brad Anderson is a Montana native, life long farmer and ranch hand. 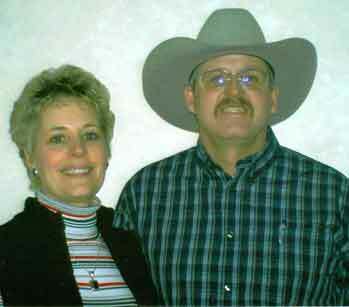 He is married to Bonnie and they are the parents of two teenagers, Logan and Haylee. Brad is a skilled horseman with years of experience and broken bones to prove it. 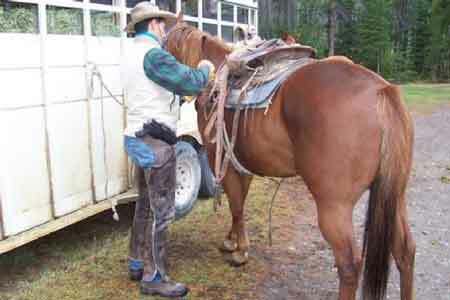 His horseback adventures hunting and riding in the Bob Marshal Wilderness with a variety of groups make him a sought after wilderness team member and horse wrangler. His extensive experience, practical wisdom and cautious spirit suit him well for leadership in the Bob. 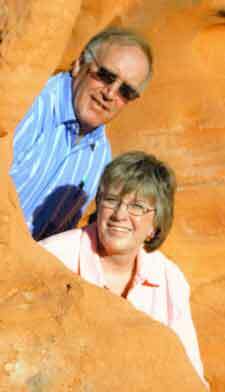 Roger Lincoln, also a Montana native, is a farmer, pilot, horseman and jokester. He is married to Mabel, the father of two grown sons and the proud grandfather of adult granddaughters. He has raised Quarter Horses commercially, hunted elk in the Bob and piloted into its beauty numerous times. His ready wit is matched by his willingness to serve unselfishly. His alert instincts to personal and camp needs render him priceless. Roger’s winsome congeniality and years of experience suit him well for his leadership among us. 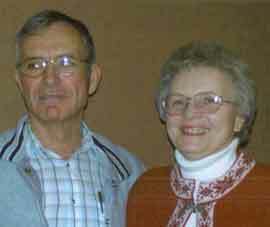 Paul Wolery, again a Montana native is a farmer, former rancher (cattle and horses), and trained mechanic. He is married to Nancy and they are the parents of two adult children, a teenager and he is the grandfather of Imani. He and his horse Sunday are often found at the leading end of the trial. Paul, Dale’s first cousin, is attentive to details, is a skilled camp cook, has amazing cleanliness for a guy, is an experienced wilderness horseman, and brings loads of leadership to any wilderness experience. Camp will be nestled beneath the towering peaks of the Bob Marshal wilderness at Benchmark Campground. Luxury tenting best describes your home away from home. You may enhance the luxury by bringing a good sleeping bag. The weather in the Bob can fluctuate dramatically so a quality sleeping bag is required. You can even bring your own pillow. If you don’t bring one, one will be provided. The large wall tent used won’t provide a lot of privacy but it has a stove you will quickly come to love. A well with potable water is close by and there are clean National Forrest Service restrooms too. There is no running water in these facilities but the privacy and convenience they provide is appreciated. Sunday at the beginning of the trip and Monday at its conclusion we will make arrangements for you to stay in the homes of team members. You will have privacy in these homes and of course confidentiality will be appropriately maintained. Motels nearby can be arranged at your expense but we do not recommend this. The best. All you can eat. Man-sized meals are the norm. Campfire coffee will greet you each morning as the smells of breakfast beckon. We will fill the largest black iron skillet you have ever seen with lots of bacon, eggs and hash browns. After breakfast you will wonder if your horse will be able to carry you and all you ate. Breakfasts built for loggers are hallmarks of our trips into the Bob. Lunches and snacks are packed in saddle bags and eaten under Montana’s big sky in different locations every day. When we return to camp meals designed by men for men will sooth the saddle sores and fill your stomach. We will eat thick steak, barbequed pork and fried potatoes around the camp fire. If we catch trout we will eat them fresh. Wow, there is nothing quite like these camp dinners to ready the mind and body for the sleeping bag as darkness descends. You will need some spending money as you may wish to purchase a meal or three in transit from place to place. Bring your appetite. No quiche. What about the spiritual stuff? Every pastor who rides with us into the Bob has spiritual needs just like the team which leads him. You will not be Pastor Bill in the Bob. You will be just a guy. One more bozo on horseback. We are human beings who wrestle with secrets, haunting fears, unexpressed feelings, longings for solitude and rest, relationship challenges, and unfulfilled spiritual hunger. The experience itself feeds the soul with unstoppable wonder. A wilderness enhanced God consciousness will result in whole person refreshment. You will be reminded like the Psalmist in Psalm 121 how entirely your help comes from the Lord. We will also have planned spiritual activities led by Dale which will inspire graceful living and leading. These times will be participative, filled with lively discussions and heart felt sharing. The heart of the matter is the heart and it is our intention to help you plumb the depths of yours in a “Wild at Heart” kind of way. Each group is different and our discussions are designed to meet the needs of your group. You will be asked to share your story early in the week and your vulnerability will be part of the bond which the Lord will use in all our lives. You will also have opportunity to interact confidentially and personally with Dale as you desire and time allows. Some may want more individual time to meet with Dale than the trip will allow. If schedules permit Dale may be available to schedule time with you before or after the wilderness adventure. Contact him after you are approved for the trip to determine his availability. Whether you are an experienced horseman or a certifiable city slicker you will saddle up and ride in the pristine beauty of Montana’s Rockies. Horses will be selected for you depending on your skill level. We will provide special care, preparation and training for you to ensure your comfort on horseback is maximized. Leg and “back side” soreness are common if you have not ridden for some time. We will do all we can to minimize this. The riding trails in the Bob though well maintained, will challenge you to trust and persevere. You will be riding with men who are familiar with each trail. There are no cell phones, land lines, Internet hook ups, computers, or pay phones. You will not lead staff meetings, pay bills, wrestle with budgets or attend board meetings. You will not be preaching sermons, counseling parishioners, visiting the sick or conducting weddings. You will be shocked by the serenity. Wilderness areas are restricted from even having motorized equipment or vehicles for maintenance. There is no traffic or noise pollution. In case of emergencies Rangers will find us. Otherwise, no one will disturb our journey. Each participant is expected to be a fully engaged team member. Meal preparation, clean up, loading packs, chopping and gathering fire wood, saddling horses and erecting tents are activities in which you will need to participate. The camaraderie of shared tasks makes the wilderness experience enjoyable. When you eat the way we do you won’t be reluctant to dive in and work it off enthusiastically. The mountains, meadows, rivers and lakes of the Bob will be some of the finest scenery your eyes have enjoyed. Of course, some of the spectacular vistas cannot be fully captured on film or digitized but you will want to try. Since most folks back home will never believe your tales of this adventure, you will likely want your clergy peer to snap a picture of you all cowboyed up on your mustang. You are encouraged to economize on the size of your camera. Changing lenses and carrying the heavier camera models around your neck while riding mountain trails can be awkward. No picture of you on this trip will ever be used by its participants or member of the CRN team. High mountain lakes with Cutthroat Trout and celebrated rivers will beg you to test your hand at fly fishing or casting with lures or bait. Out of state two day licenses cost $25.00. License costs are your responsibility and you will have opportunity to purchase your license after you arrive. Renshaw Lake and the South Fork of the Sun River have historically been good to us. With some luck we will eat your catch over an open fire. You must bring whatever fishing gear you choose to use. We will schedule fishing on two consecutive days so your two day permit can be fully utilized. If you choose not to fish there will be time for some hiking, exploring on your own, reading, relaxing or just plain staring at the sky. Whether you have ever fished or not, if they are biting you will want to fish. 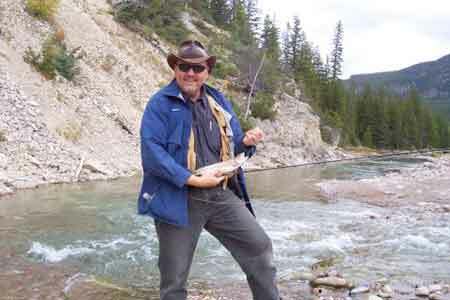 Native trout streaking toward the frying pan in a clear mountain lake are hard to resist. If you are injured and need medical attention, we will transport you to medical facilities as quickly as possible. If our moving you is not wise we will contact Rangers for your transport. This can be a time consuming process and is part of the risk. There is an air strip for emergencies close to our base camp. We will be in contact with your emergency contact person as necessary. All medical expenses are your responsibility. What if an emergency occurs at your home while you are in the Bob? You cannot be reached by normal means while we are in the wilderness. This includes the base camp at Benchmark. Some cell phones may work dialing 911 but essentially there is no cell coverage. If there is an emergency at a participant’s home the family will need to contact the Forest Rangers at the Flathead Forrest Service who will have to travel and find the CRN group. Your family or contact person must know our base camp will be located in the Benchmark Campground, west of Augusta, Montana. Simply copy the information below and distribute it to everyone in your life who needs to know. The Clergy Recovery Network group is camping at the Benchmark Campground west of Augusta, Montana. There is no phone contact while at the campground or out on the daily rides. The CRN party returns each evening to camp at Benchmark where Rangers can locate them. Cot or Air mattress optional but hard ground is seldom comfortable. Toiletries appropriate for cold creek bathing. Towels and wash clothes are provided. Bathing out of a basin and shaving as you desire is available and optional. Clothes which are weather appropriate (we can be more specific as we near our trip but jeans, long sleeve shirts, gloves and heavy jacket are necessities). Shorts are not appropriate for riding. Insulated gloves especially if you are not used to cool weather and even a scarf are usually necessary. Socks should be heavy and wool if you have them. Boots. Remember you will be riding. We do not want your wide boot getting stuck in a stirrup. Some hiking boots are too wide on the sides and have too much tread on the bottom to use safely on horseback. Riding boots of some kind are best. The best boot all around is the roper style boots which pull on instead of lace. They are a good combination of smooth sole; lower heal for walking and narrow fit for stirrups. We will do all we can to accommodate your boots and make you comfortable. If you are purchasing boots for the trip please break them in well in advance. Shoes (tennis, rubber rain boots, etc.) for comfortably walking around camp if you are not used to walking in your riding boots. Optional. Rain gear. Sunshine is the norm but rain does not mean we will sit in the tent all day. We will ride. An inexpensive plastic poncho is great. Cheap rubber boots to cover your other boots are nice. Fishing gear if you plan to fish. Be conservative as we will be packing this equipment on horseback. Less is best. Poles need to be in tubes. Camera (the smaller the better) and film as you desire. If you have an especially powerful set of small binoculars bring them! Optional. If you are not used to riding, powder, Vaseline, corn starch and various other products are known to help with blisters on one’s derrire. Choose your poison! Not so optional. Cold, anti-inflammatory and flu medication may be needed. Optional. Cool weather hat/cap preferably with ear muffs. Cowboy hat if you desire. These provide nice shade if the wind isn’t too strong. Optional. Riding helmet if you choose for greater safety. Optional. Baseball hat for hot windy weather. Optional. Chaps are handy if you have them. Optional. Ear plugs. These are optional but then so is sleeping. **If you wish you may ship your gear in advance of the trip via UPS or USPS to Dale & Sara Wolery, 2316 Highway #2, Joplin, MT 59531. This should of course be done well in advance. Three meals a day, group meetings, campfire cookouts, pictures and all the other fun stuff will occur within this basic outline. Return to Great Falls for your flight home. Forrest fires, snow, rain and other natural phenomena, can alter our dates or a specific daily plan. This is not often the case and we will do every thing in our power to provide what we are advertising. Should it be necessary to cancel because of a natural disaster in the wilderness we have other options and will give you choices. Please know we are basically a gracious fun-loving crew. We are, however, intent on your safety and our own, want groups which crystallize well, and would like to preserve this experience for ministers for years to come. You are responsible for your behavior, health and safety. Inappropriate and unsafe behavior will not be tolerated. If a member of our group engages in such he will be warned and should the inappropriate behavior continue, will be transported immediately to the Great falls airport where our responsibility will end. The costs of such transportation will be the responsibility of the member of the group who is transported. Confidentiality before, during and after the adventure is required. For some men to be willing to come and share openly on our adventure, complete confidentiality is required. Who you see on the trip and what is said on the trip must stay on the trip. Pictures of participants are not a necessary part of the adventure. We will determine on our first day whether or not some participants request not to be photographed. You will be trusted and expected to honor this and all other stated and not stated but implied components of confidentiality. Your team members respect and appreciate their necessity to maintain strictest confidence. You are responsible for all costs associated with transportation between your home and Great Falls, Montana (Airport code: GTF). You must arrive on the Sunday, September 28, 2008, preceding our adventure and return on Monday, October 6, 2007. We will pick you up at the airport and provide transportation for your return to the Great falls airport. If you can arrange to arrive in the afternoon it is optimal. If you arrive early in the day you will likely have some free time waiting for the rest of the crew. If you arrive late we will all wait on you. Our starting location is 100 miles from Great Falls. We won’t be running back and forth. Try to schedule your return on Monday for midday so neither you or others in the group are terribly inconvenienced by a too early flight out. Typical outfitters charge in the $300.00 per day range for this type of adventure. Because of committed volunteer guides, borrowed steeds and donations like yours and others to the Sterling Wolery Memorial Fund of the Clergy Recovery Network you may participate at a fraction of normal wilderness adventure costs. We expect to receive from you a donation of about $450.00 for the entire adventure. You are also responsible for a fishing license if you choose to fish, medical expenses you may incur and any dietary needs which are outside our normal planning. This donation in its entirety must be in the Clergy Recovery Network office by August 31, 2008. Costs for these adventures are large. Food, insurance, transporting horses, transportation from and to the airport and to and from the wilderness, fierier expenses (shoeing one horse suitably for a mountainous trip like this costs $60.00), and certifiable horse feed are some of the costs. Your donations to the Sterling Wolery Memorial Fund help with these costs and may be charged on credit card, made via automatic withdrawal from your account or plain old check. Learn more about the Sterling Wolery Memorial Fund here. You may go here to make your donations on line. Designate your donation to the Sterling Wolery Memorial Fund. If you send a check make it payable to the Clergy Recovery Network and mark it clearly for the Sterling Wolery Memorial Fund. If you would rather talk to a live person and use your Credit Card, call 406-292-3322. Remember you do not need to donate any funds until you are notified personally you have been approved for the adventure. In some extraneous circumstances additional subsidies will be granted. There is a place on the application for you to indicate your need. Dale and the team will evaluate your situation and let you know if help is available. You must complete the application form Fill it out entirely and submit it as directed. The application must be accompanied by three documents (either use a scanner and then email or fax to 406-292-3256). The completed, signed and dated Indemnification and Defense form. The completed, signed and dated Health Waiver form. A copy of the front and back of your health insurance card. You must make an initial donation to the Sterling Wolery Memorial Fund of $100.00. If you are then unable to attend or choose not to participate, this remains a nonrefundable donation. You will notify Dale via email that you have advised your family members and other important people in your life you will be in the Bob Marshal Wilderness at the Benchmark Camp Ground and that you have given them the following numbers in writing to be used only in case of emergency. You can begin to make travel arrangement to and from Great Falls, MT (Airport code: GTF) on the appropriate dates. Email a copy of your confirmed flight arrangements to Dale as soon as you have them. You must donate the balance of your share of the trip’s expenses on or before August 31, 2008. What an incredible week! I feel so refreshed. If you have the opportunity to go on this trip I would take it. This was one of the top 5 experiences of my life! Thanks Dale, Paul and all the team members. You truly ministered to my soul.